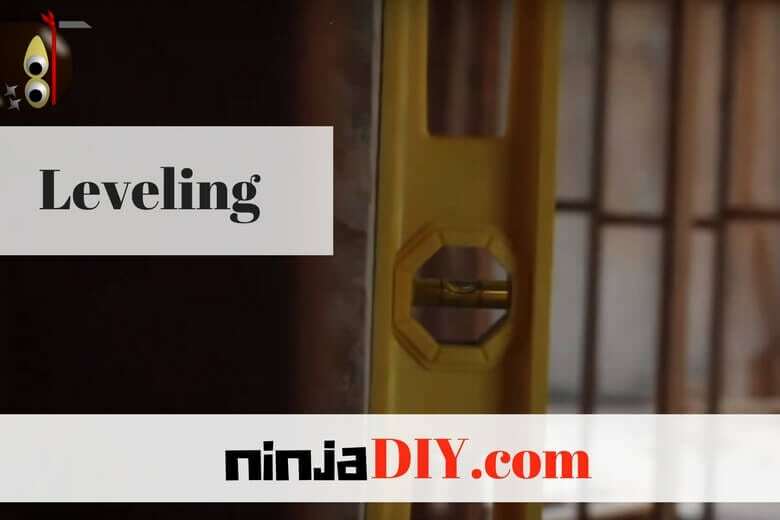 Using a laser level is one common way to help you with your DIY or professional projects and today we’ll talk about how to use a laser level for framing. From tiling walls, to install decking, any kind of ceiling works like installing lights and of course set and frame walls amongst so many other applications that this tool can be used for … The laser makes it so that you can follow a benchmark accurately and with precision. This ensures that whatever you are building will be level and straight. There are a few different types of laser levels available on the market. You can find small handheld torpedo levels, self-leveling cross line levels, laser level squares and 3 or 5 points self-leveling laser. Normally, when framing walls in an existing space, you would use a chalk line as a guide to set your walls. But this can lead to frustrations as the line will often fade and can be hard to see. 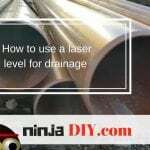 You can make this task much easier by using a laser level to project a line across the floor, walls and/or ceiling. The laser will ensure that your line is perfectly straight and will not fade with time. 2 If you want to learn more click the play button on this video and you will have more details about how to frame a wall using a laser level. Laser Levels should always be set up on a firm and solid surface. Laser levels work by projecting a perfectly straight beam of light. This means that if you have the level set up on an uneven surface, you will be projecting a crooked line and will not get accurate measurements. Most heavy-duty laser levels have a self-leveling device inside them that will automatically correct this problem. However, if you are using a smaller, torpedo-style level, you will want to ensure that it is set to level before using. When building or framing a wall, you will want to make sure that the floor you are building off is also level. You can do this by setting your level to project a horizontal line across the room where you want your wall to be. Next, use a tape to measure the distance between the beam and the floor, making notes of any spots that are significantly lower or higher. You may want to level out these spots before beginning to frame your wall. To use a laser level to frame a wall, you will want to set it up so that it projects a vertical beam. Next, you will want to set the laser up with wherever you want your wall to be. This should project a solid, laser line across the floor and up onto the ceiling. Use this line to build up to with your wall’s bottom and top plates or you may choose to make a benchmark where the line is, turn off/put away the laser and then build off your markings. For framing walls, it might be best to use a self-leveling laser device. Laser levels are a great way to check your work as the job progresses along. While framing a wall, you can do this by setting the level to a vertical beam and lining it up with your work. By judging the distance in between the laser beam and your framework, you will be able to tell if your wall is leaning in or out and make any adjustments as needed. 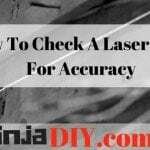 Be sure to check your work often or simply keep the laser turned on while you are working. If you want to learn more click the play button on this video and you will have more details about how to frame a wall using a laser level. If you liked this little guide about how to use a laser level for framing leave us a comment or drop us a message here, we would love to hear what you have to say. Have you checked our latest article where we talk about the best laser level for tilers? Have a read a see what do you think! Laser levels are generally safe to use, although the laser beam can cause damage to your eyes. Remember to always use personal protective eyeglasses and never point the laser at your or anyone else’s eyes. Self-leveling laser devices are quite fragile, and one should always take care when handling them. A self-leveling laser that has been dropped or has experienced a severe-enough shock could malfunction and not level itself properly.